Duncan’s love affair with glass began as a small child while visiting a glass factory in Virginia. 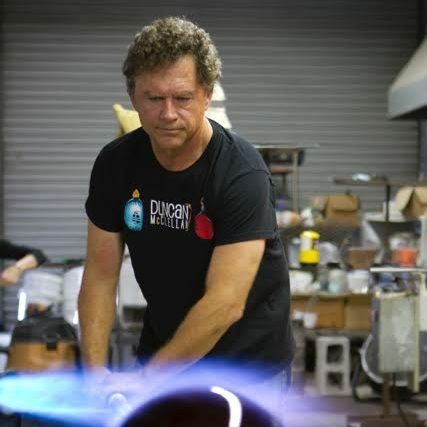 Many years later, after alternate creative and entrepreneurial successes, Duncan came back to that early vision and began studying Glass Art, both in Venice, Italy and the US. After almost thirty years of creating and exhibiting his own work, Duncan purchased an abandoned tomato packing building in midtown St. Petersburg, and his long time dream of opening a glass art gallery was realized. 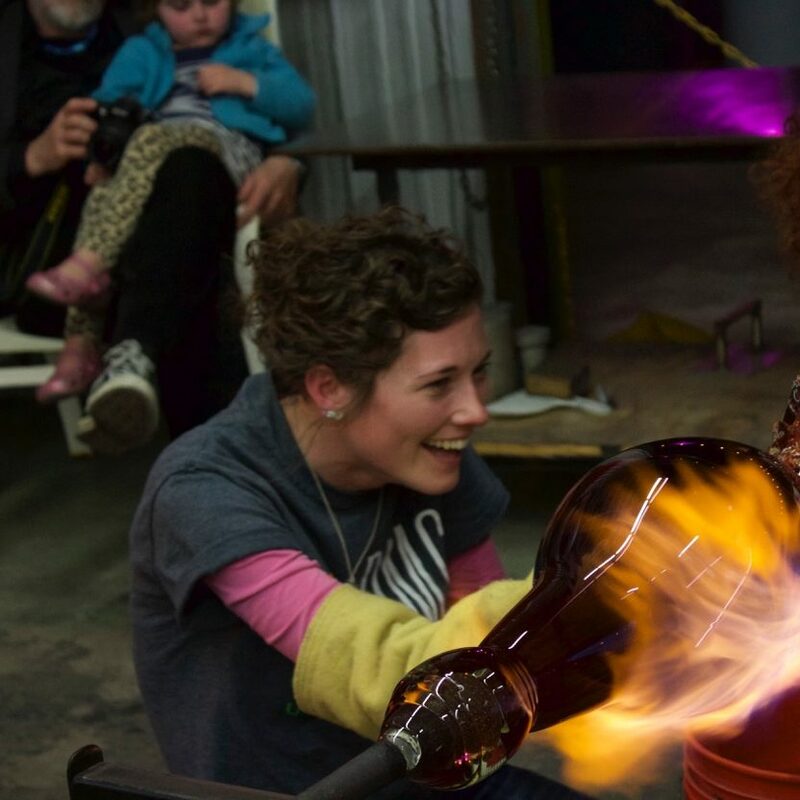 With the addition of the St. Petersburg Hot Glass Workshop, Duncan’s vision of mentoring other artists and establishing educational programing for the public continues to grow. 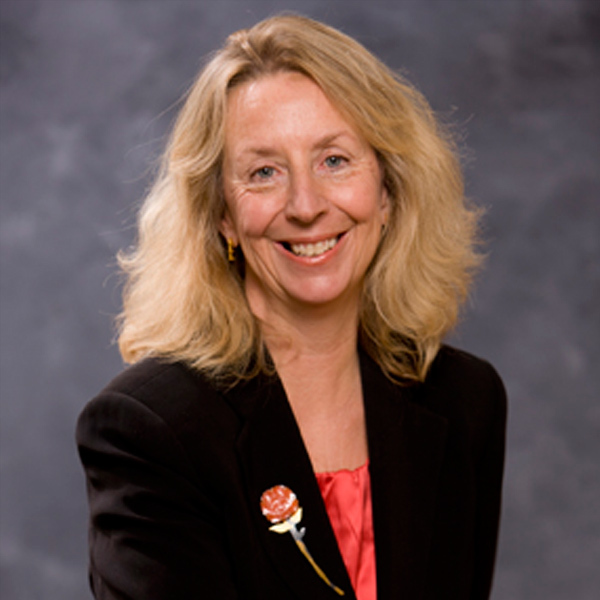 Mary Childs came to the gallery in 2012, after over 25 years in gallery management and ownership. As Artistic Director, she works closely with Duncan McClellan to hone the visual aesthetics of the gallery while helping determine its ongoing evolutionary direction. With a belief in the positive power of both creating and experiencing art, and a passion for sharing art with the public, Mary finds working closely with the gallery artists, curating their exhibits and finding “homes” for their work rewarding. She enjoys the continued challenge of helping to “grow” the gallery and its vision. Referred to the new Duncan McClellan Gallery by a friend, Danyell Bauer came to work for Duncan McClellan in 2011 after six years at the Museum of Fine Arts, St Petersburg, where she held various positions. Danyell’s responsibilities have grown with the Gallery and she is now the Gallery Manager, she balances her professional functions with her continued practice as an emerging glass and multi-media artist. Eric Claycomb came to work for Duncan McClellan in 2004, as a Tampa high school senior year agricultural student. Eric was hired to assist Duncan with gardening projects at Duncan’s former Tampa studio on US Rte 301. 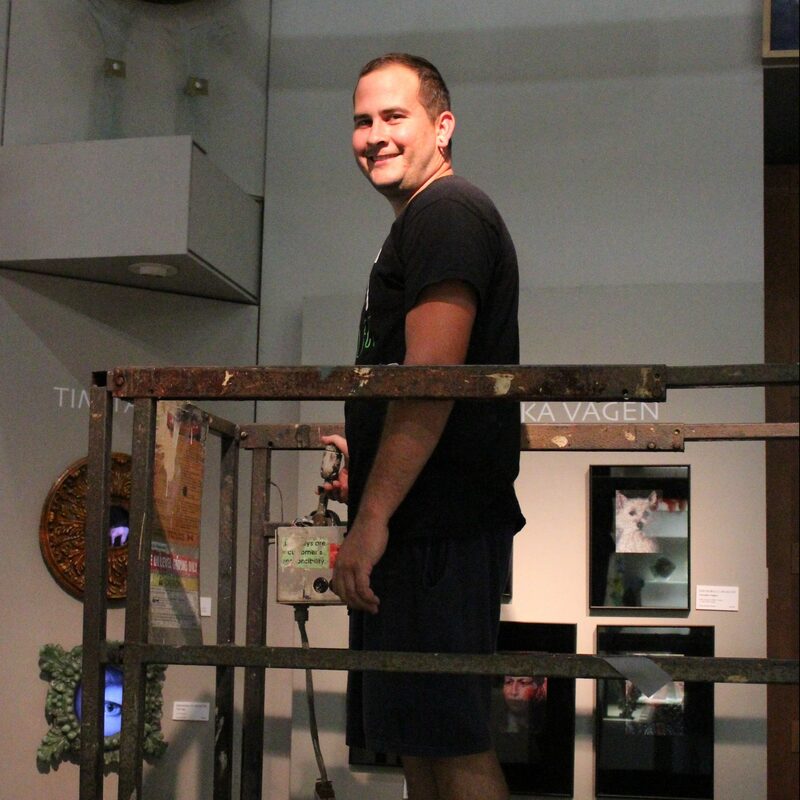 Eric made the move to St Petersburg when Duncan rehabbed the current gallery property in 2009, and has become the “man behind the scenes”, responsible for all aspects of the physical property and so much more. An aspiring glass artist himself, Claycomb looks forward to developing his own artwork while remaining integral to the Gallery’s structure. 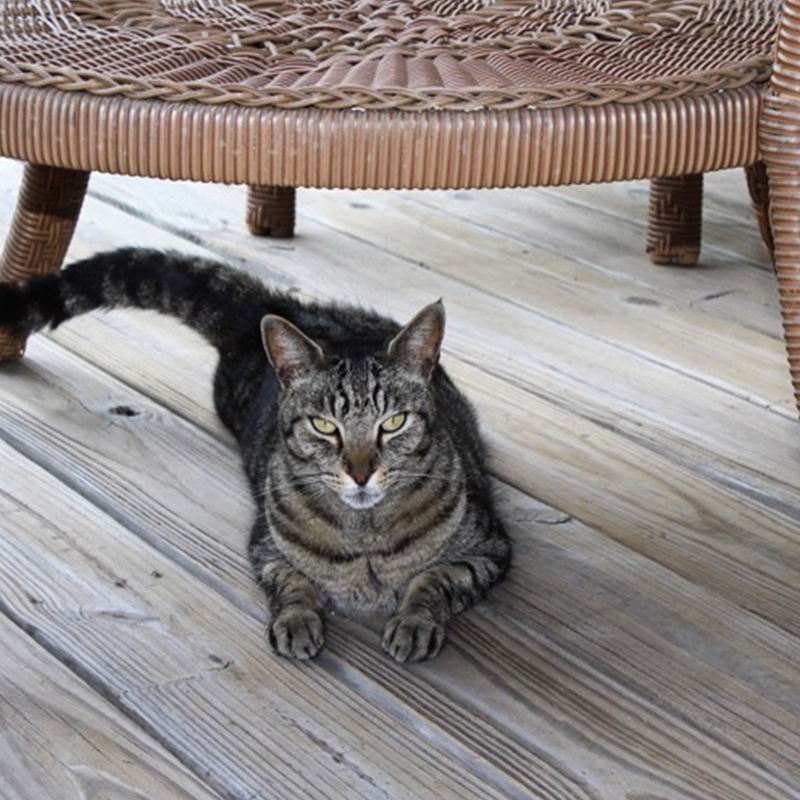 Monroe roams the grounds of the Duncan McClellan Gallery, keeping the facility free of unwanted wildlife. Every now and then he inspects the artwork, as evidenced by his paw prints on select favored pedestals. Fiercely independent, Monroe has been with the gallery since its inception. 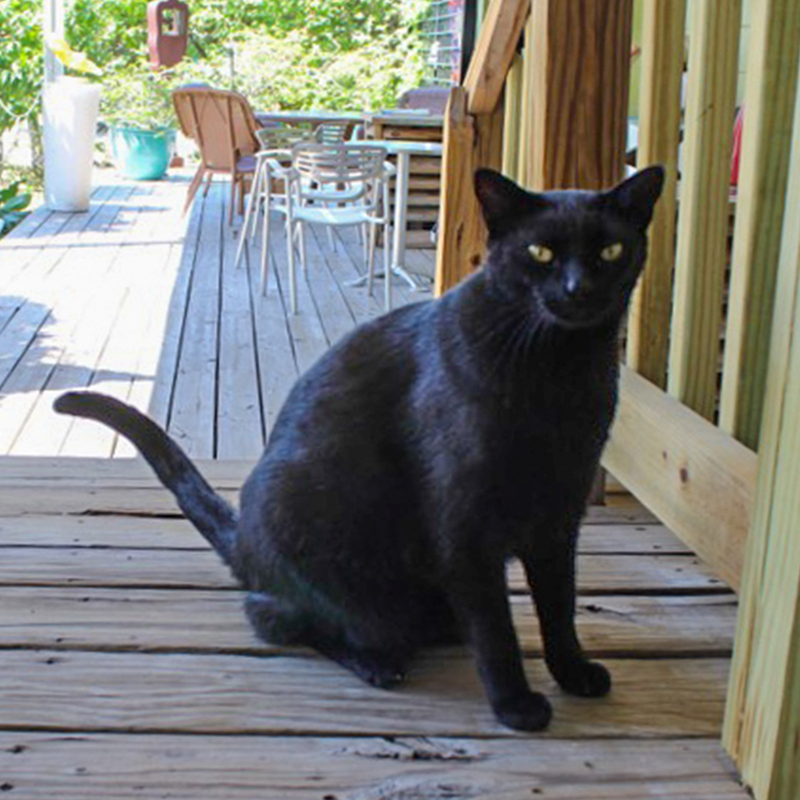 Ramone is the “love bug” personality of the gallery, often waiting on the couch for attention and delighting visitors with his readiness for strokes and “conversation”. Ramone is also the darling of the many school children who visit the gallery, and is a great example of how glass and cats can coexist happily.